Google has launched its 2014 Santa Tracker, which has been running since 2007. For the last two years, Google has not had its traditional help from the North American Aeropsace Defense Command (Norad), which took its Santa Tracking services to Bing in 2012. This means that you have two ways to track Father Christmas around the globe: Norad’s Bing Maps powered tool, and Google’s very own Santa Tracker. Both feature a countdown to the start of Santa’s journey around the globe, but until then, both sites have plenty to explore. 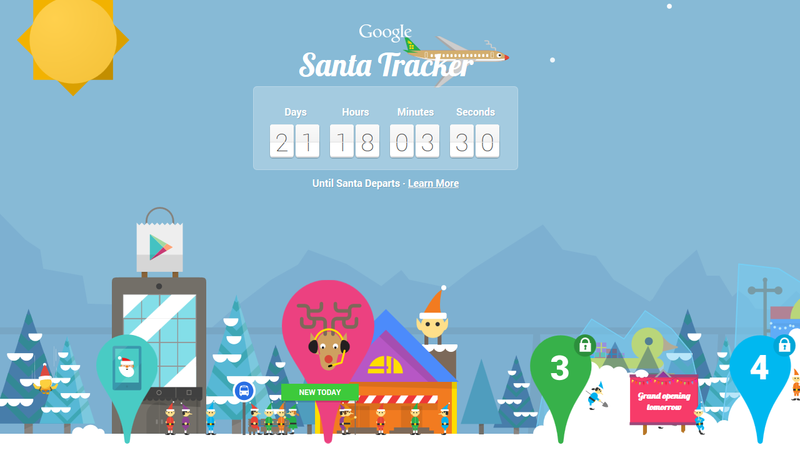 Google’s Santa Tracker works like an Advent Calendar, with a new link to click every day. December 1st gave you a free Android Santa Tracker app. Visit the site to see what more it has in store. Over at ‘NORAD Tracks Santa’, there’s a new game to play every day, plus Christmas songs and a lot more, including video and reading material. If we’re being forced to make a decision, Google’s Santa Tracker is the nicer site, but there’s no reason not to use both.